We last tallied up Seattle-area restaurant closures a little over a month ago — and no, the industry sky’s not falling, as openings have continued at a mad pace meanwhile, with 44 new places debuting (plus five new bars). Here are the goodbyes, one temporary closure to note, and three restaurants that are gone-but-not-gone, having immediately transformed into something new. Ballard Pizza Company in South Lake Union: Seattle’s Amazonland is notoriously tough for restaurants, with lunch and happy hours somewhat populated, but dinnertime often dead. Since the beginning of the year, both FareStart’s charitable Community Table and Dexter Brewhouse have thrown in the towel in the neighborhood. And the latest Thunderdome casualty is especially notable: If Ethan Stowell can’t sell pizza in South Lake Union, can anything survive?! “It is a hard business down there. I will not lie to you on that,” Stowell told the Puget Sound Business Journal, citing “a big massive lunch push, and that is about it. … We don’t know when nighttime business will be coming along.” The Ballard and Frelard locations of B.P.C. remain open. Aoki on Capitol Hill: After 33 years at the north end of Broadway, sushi chef Hitoshi Nishitani was ready to retire, and Aoki closed forever in mid-March. Longtime fans are bereft — while Capitol Hill’s certainly got plenty of other sushi spots, nothing will quite fill Aoki’s friendly, low-key shoes (nor have its wacky wide-striped banquette). The last few nights found the place packed with people eating their favorite rolls or their last bowl of Aoki nabeyaki udon, wishing Hitoshi well. Kanak on Capitol Hill: This place on 15th has closed, but fans of the family’s Indian food can still get their fill at sister spot Mirch Masala, not far away on Broadway. And — bonus! — the well-liked truck Spice Waala will move into Kanak’s former spot, according to Capitol Hill Seattle Blog. Elysian Tangletown: The Green Lake-adjacent edition of the brewpub chain is gone, but a sign on the door relates that company co-founder David Buhler will open his own pub in the space: Tangletown Public House. Cheers! 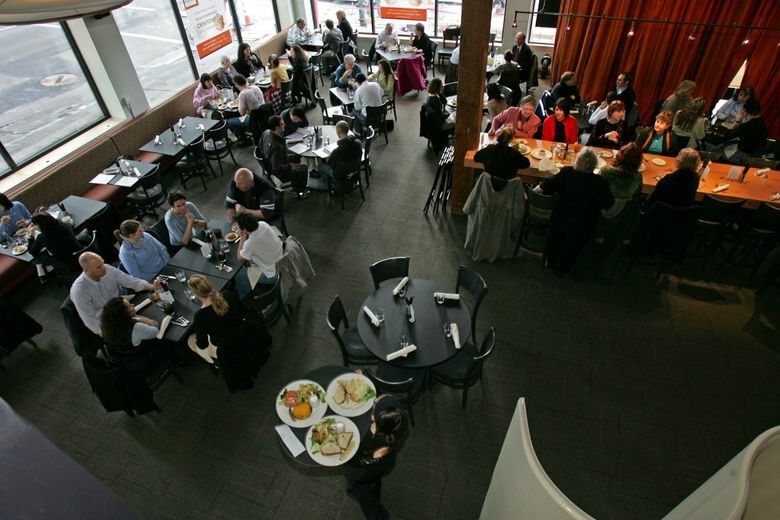 FareStart Restaurant: Seattle’s James Beard award-winning nonprofit FareStart will temporarily close its flagship restaurant at Seventh and Virginia starting April 2 for an interior update on the airy, high-ceilinged space. The popular Guest Chef Nights — with featured chefs coming up, including Dre Neeley of Vashon Island’s Gravy and Megan Coombes of Pioneer Square’s Altstadt — will be held at FareStart’s South Lake Union restaurant Maslow’s during the month of April, landing back at the spruced-up original space by early May. Itto’s on Capitol Hill is now A La Vida: The little spot on Summit still serves tapas and cocktails, now under the ownership of the former manager. Thackeray in Wallingford is now Fiasco: “Wallingford’s neighborhood kitchen and bar” has become a place for “pasta.wine.pizza.takeaway,” still under the direction of the Heavy Restaurant Group.